Gina Heckley lives in Ashland, Oregon, with her husband, Dave. They were both born and raised in Northern California and moved to Ashland in June of 2000, when they designed and built their present home. They have one beautiful daughter, who resides in the Bay Area. Married for 30+ years, they share a passion for life...honoring family, friends and good food! is to positively influence every project by creating a beautiful built environment that meets my clients expectations, while treading lightly on our natural environment. Do what you love...love what you do! After a successful and rewarding experience designing and building my own home in 2000, I just couldn't stop thinking "this was the end". I had to find a way to build on new, and past, experiences and incorporate it all into a new career. So, I teamed up with a local builder (my builder) to offer a unique service to others building their own custom homes. By integrating my past career experiences (in administration, communication, marketing and real estate) with new achievements in interior design and construction management...the resource consulting service was born. Since then, I have been a team member on more than 50 major custom home projects and remodels, each with it's own set of unique challenges and creative solutions. 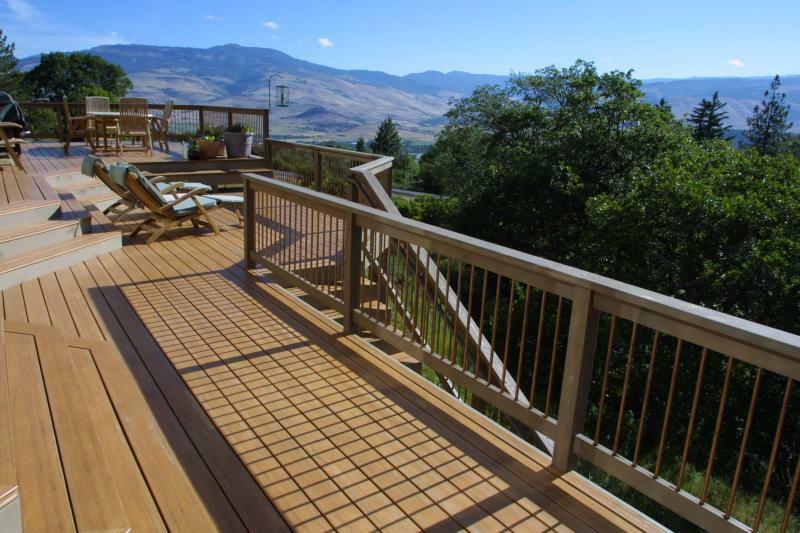 And now, by combining my passion for the environment into these building experiences, I continue to seek new opportunities to make a real difference in custom home building in Southern Oregon.